Elsie Cuss from Crudwell was just 17 at the start of WW1, but her war was spent looking after returning wounded soldiers as a Red Cross Nurse based in Malmesbury with the 20th Voluntary Aid Detachment. 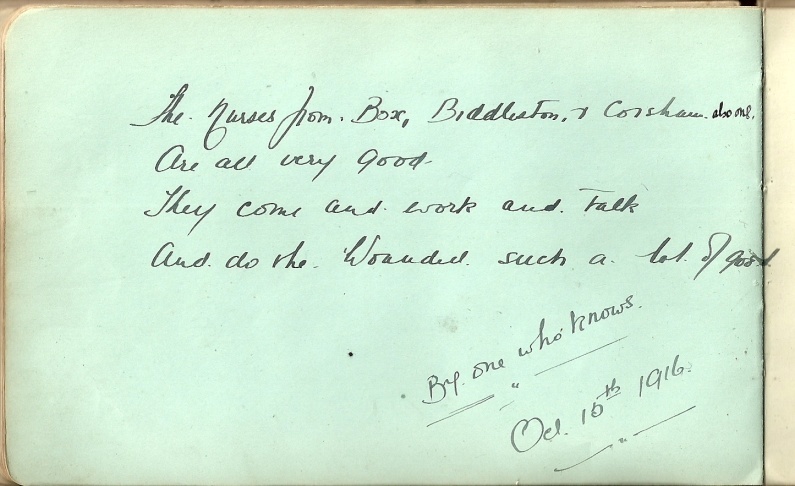 She kept a WW1 autograph book which she asked her own family and friends and wounded soldiers in her care to sign. Interestingly some of those autographs were from soldiers in Corsham Hospital suggesting that Elsie moved between hospitals. 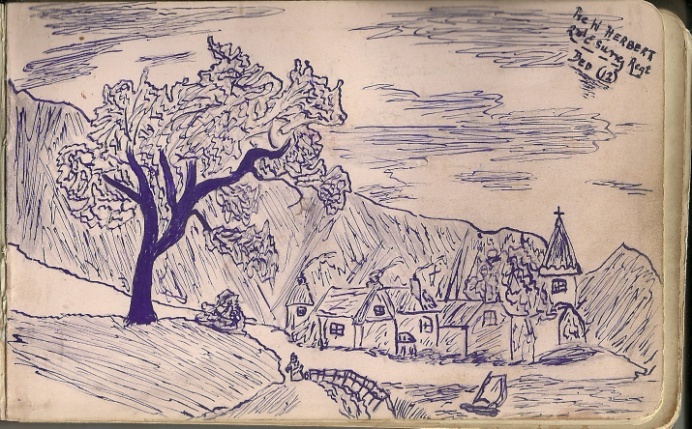 The entries are a mix of simple signatures with name and rank, some left details of where they were injured, others wrote poems or limericks, there are jokes and some drew little sketches. There are entries from British and Irish soldiers and one Canadian and a Belgian. 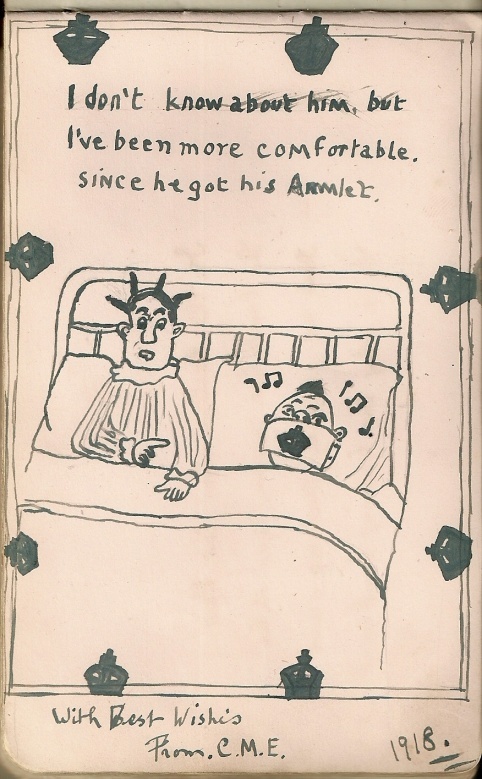 Soldiers often wrote about their experiences in the trenches but they also related their comments to their nurses or to their enemies. The language and the stories reflect the feelings at the time and some are politically incorrect, certainly not repeatable today. As a young nurse Elsie seems to have been popular and received advice from soldiers and family alike. 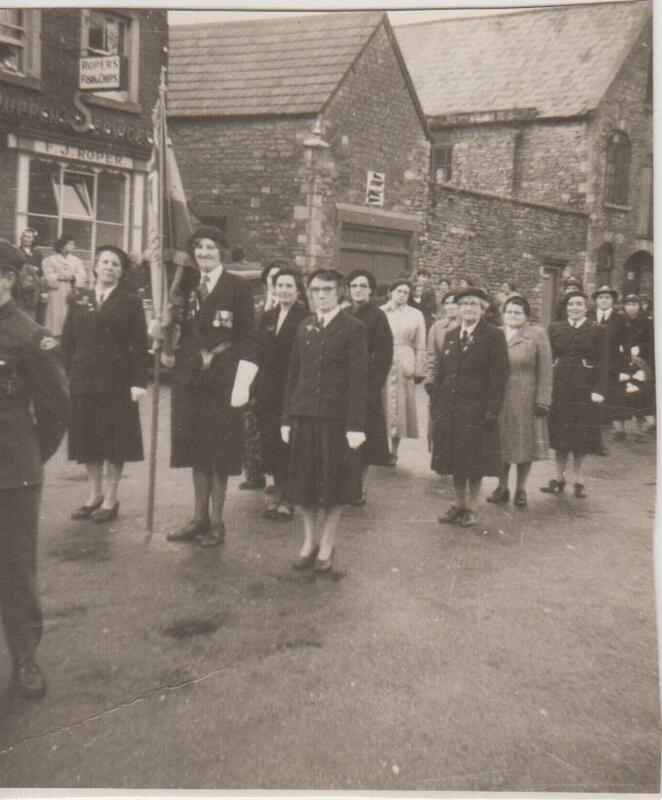 Elsie received a Red Cross Medal for her service during WW1 and was also awarded medals for Nursing service in WW2. Elsie was later a nurse in Malmesbury General Hospital to complete a lifetime of nursing. She died in 1973. 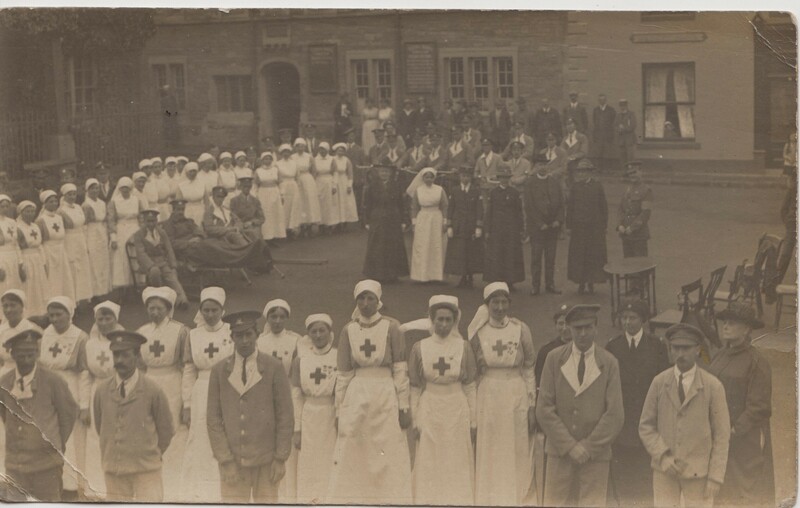 Elsie Cuss, 1918, Malmesbury Hospital – Elsie is the tallest at centre of picture. The ceremony is in recognition of the service of commandant Miss Luce. Thanks to Elsie’s niece Chris Sparrow from Cleverton for sharing Nurse Elsie Cuss’ story and her autograph book. 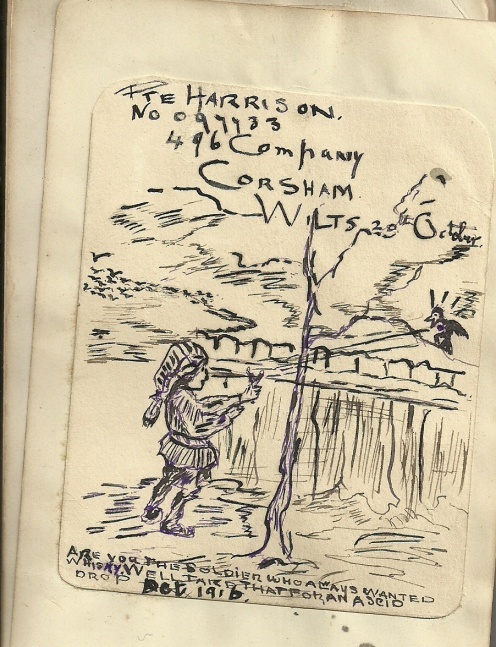 Story written by Kevin Gaskin as part of Corsham Commemorates. Royal British Legion, Cross Hayes, 1952. Elsie is bearing the standard.